Over the last several months, I’ve been involved in a play. My church now has dinner theatre and this was the second production (the first was last summer). We did an old fashioned, 1890s Western, melodrama. Lots of damsels in distress and some “very” bad puns, which were funny but produced many groans. The show finally premiered in February and ran for 3 nights. 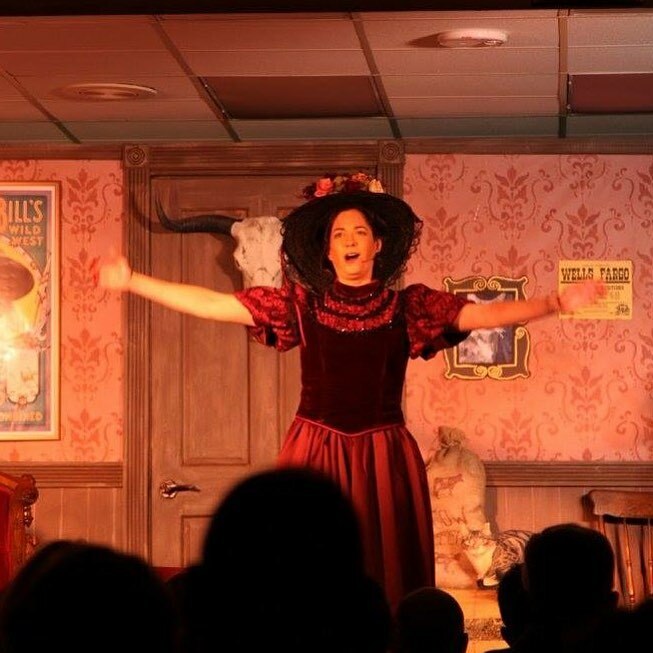 I played April May June, noted opera singer and hat connoisseur. I had big hair, got to sing (badly), and wore many outrageous hats. The experience was amazing. I have to say there is nothing quite like a live stage performance. You can hear the audience for one. You know right away if they got the joke. You can also tell when something went flat. It’s hard to describe the energy you feel, knowing people are watching. You feed off their energy in a way. I hope I’ll get to do many more plays. I chronicled much of the play’s progress on my blog. Please check those posts out so you can see my “behind-the-scenes” look at how a play comes together. selling series, Shellwater Key Tales (sweet contemporary romance) and Covington Falls Chronicles (inspirational romance). 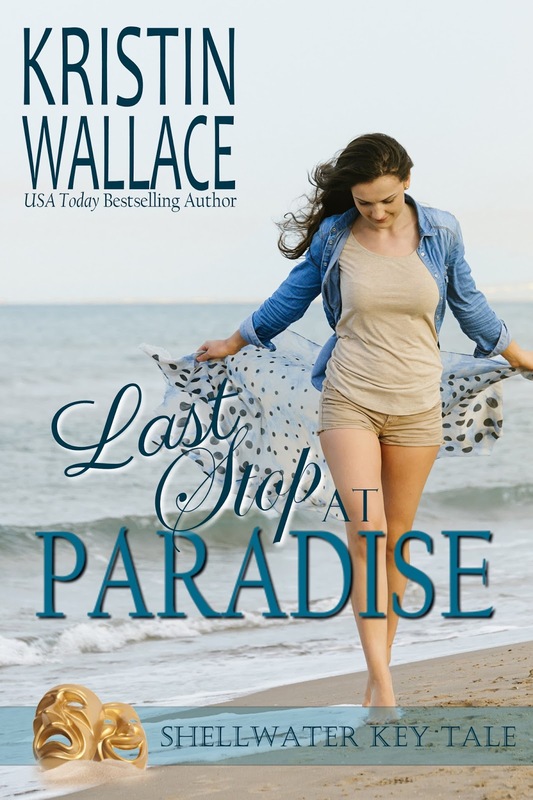 Get ready for Book 3 in the Shellwater Key Tales, LAST STOP PARADISE. Pre-order now! So fun, Kristin. I followed on Instagram. Being in a play sounds like so much fun! What a fun experience. And I LOVE the hat!